With the Democrats already reacting to Brett Kavanaugh’s nomination to the Supreme Court, many of them — including members of the news media — appear to be oblivious of the fact that Kavanaugh worked on Special Counsel Ken Starr’s investigation of then-President Bill Clinton and he also helped to write the 1998 Starr Report to Congress, which outlined 11 grounds for Bill Clinton’s impeachment. 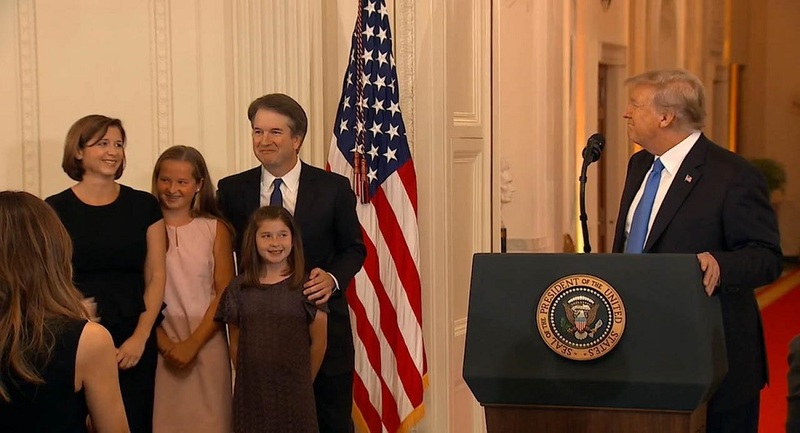 Brett Kavanaugh accepting President Trump’s nomination to the U.S, Supreme Court. Things are heating up in the nation’s capital as the Democrats and the alt-left prepare to do battle against President Donald Trump’s pick for the Supreme Court to fill the vacancy left by retiring Associate Justice Anthony Kennedy. In a dramatic and long-awaited announcement from the White House Monday night at 9:05 p.m. (ET), the President introduced his choice for Associate Justice to SCOTUS: legal scholar Brett Kavanaugh. According to talk show host Jim Schneider, who is covering the story from a Christian viewpoint, an alt-left group called RefuseFascism.org has already planned a multi-state protest after President Trump selects his nominee. Reportedly, demonstrations will be held in a dozen cities and the group’s officials say it doesn’t matter which man or woman is selected as a nominee. “The fact that it is President Trump who is nominating the SCOTUS nominee is all that matters,” said Det. Charles “Chuck” Reardon. “These people are allowing their anti-American feelings to be displayed for all to see and hear, Reardon added. Joining Jim Schneider on the air was Mat Staver. Mat is the founder and chairman of Liberty Counsel, which is recognized as a non-profit litigation, education, and policy organization dedicated to advancing religious freedom, the sanctity of human life, and the family. Mat is an excellent analyst since he’s personally argued two landmark cases before the U.S. Supreme Court. The show also featured a discussion about various senators and their views on the Supreme Court opening. Needless to say that the Democrat lawmakers in the Senate during the “Advise and Consent” hearings will pounce on the chance to denigrate Kavanaugh especially when it comes to their most important issue: Abortion. They will no doubt ask about the nominee’s views about Roe v. Wade, ‘court-packing,” and other issues that are considered more important than national security, the economy, healthcare, and others. 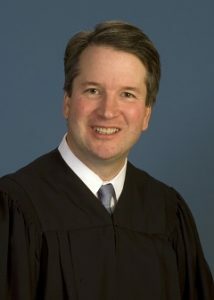 Brett Kavanaugh was born in Washington on February 12, 1965. His mother, Martha, was a public-school teacher in the District of Columbia, . Martha Kavanaugh went on to become a prosecutor and later state judge in Maryland, where Kavanaugh was raised and where, like Justice Neil Gorsuch, he attended Georgetown Preparatory School. After graduating from Yale College in 1987 and Yale Law School in 1990, Kavanaugh spent two years as a law clerk, for Judge Walter Stapleton of the U.S. Court of Appeals for the 3rd Circuit and Judge Alex Kozinski of the U.S. Court of Appeals for the 9th Circuit. He followed a one-year fellowship in the office of U.S. Solicitor General Kenneth Starr with a clerkship for Justice Anthony Kennedy during October 1993 Term. 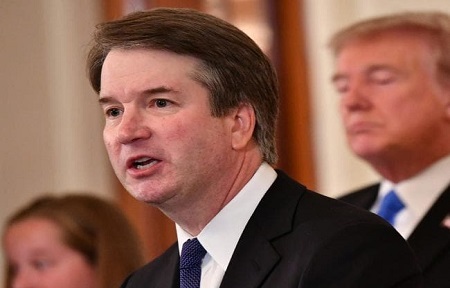 Kavanaugh went on to join Starr at the Office of the Independent Counsel, where Kavanaugh led the investigation into the death of Vince Foster, an aide to President Bill Clinton, and helped write the 1998 Starr Report to Congress, which outlined 11 grounds for Clinton’s impeachment. Kavanaugh was later a partner at the law firm Kirkland & Ellis, where he specialized in appellate law. He moved to the White House after President George W. Bush was elected and worked in the West Wing for five years, first as a counsel to the president and then as staff secretary to the president. He also served as a judge on the D.C. Circuit Court. Thoughts about Kavanaugh and Vince Foster cover up? What are Kelleigh Nelson’s thoughts about the nominee?